Sail smoothly down the road as you are discovering new horizons. 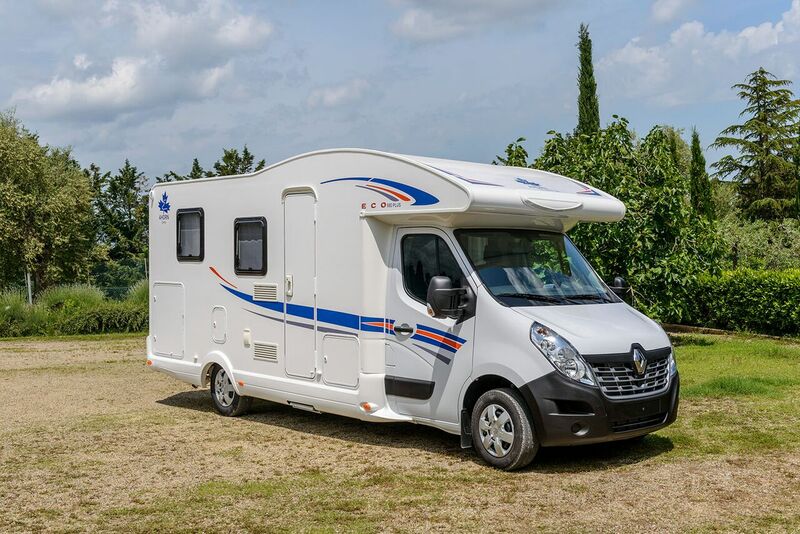 This camper is all about traveling made easy, as it provides maximum reliability and performance. Enjoy the practical and stylish features and travel carefree. This exquisite vehicle offers a unique combination of style and practicality. An elegant appearance invites you to explore the interior with curiosity, and in doing so, you will find a very warm, domestic quality of space, which represents an ideal choice for a four-member group of people (ideally: 2 adults + 2 children) who want to enjoy their ride with comfort and enough personal space for each of the travelers. Talk about smooth driving! There is a large double bed (big enough for 3 persons), and two single beds, both of equal size. One of the beds is placed above the living area and comes with a handy option to easily lower it when needed. This camper is all about living made easy. Get creative with cooking because there is an elegantly designed kitchen in the passenger compartment. 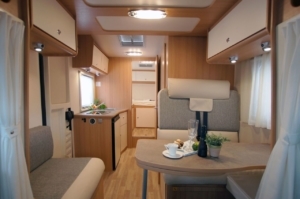 In addition, the vehicle is equipped with an ergonomic sofa, movable and expandable table, toilet and large storage space (garage). Great visibility inside of the van is ensured by very sophisticated and strategically set lighting. Soft LED lights are inserted in the upper part of the furniture with integrated spotlights in the ceiling and in the midway. Pay no mind to the weather and temperature oscillations as you go along with your travel. To ensure you feel cozy and relaxed all the way during your trip, the interior is equipped with a heating system for cold winter days. Cruise down the road with class and feel completely safe – excellent basic mechanics of the vehicle provides maximum reliability and performance. 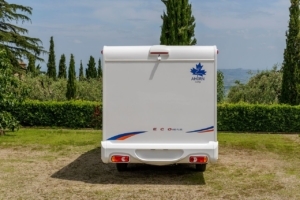 All of our campers are regularly serviced and well maintained. Each campers is fully equipped with everything you need to make certain your experience of camping remains relaxing and hassle free. 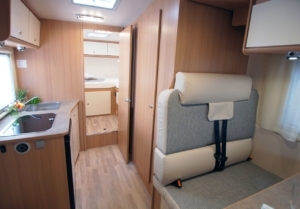 All of our campers are regularly serviced and maintained to the highest industry standard. Prices are calculated on daily base, and are expressed in EURO (€). Camper rental price does not include following items. For a list of availables extras for rent, please visit our extras page. Interested in renting Ahorn ECO 690 for your holiday? Calculate your camper rental cost within a minute and send us availability inquiry. No credit card details required. 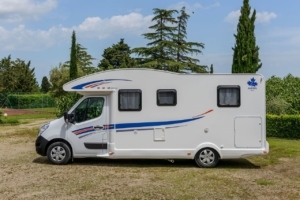 © 2008 - 2019 Croatia Camper d.o.o.